Welcome to the Ginko Kyudojo. We are a club studying Kyūdō, the Japanese “Way of the bow”. One of Japan’s oldest and most respected martial arts, Kyudo has evolved over the course of history from a skill applied in warfare, hunting and religious rituals into a recreational activity accessible to all. As an art form steeped in Japanese culture, modern Kyudo emphasises etiquette, self-discipline and moral virtue; but the most cursory resemblance to western archery remains. Through constant and diligent practise, Kyudo archers strive to balance their mental and physical energies, bringing mind, body and bow into harmony, to deliver a correct shot and strike the target naturally. The question is less whether the arrow will hit, but rather how a shot can be produced that will not miss. The Ginko Kyudojo is located in Freiburg, a small city in southwestern Germany. We meet up to three times a week to train in a friendly and easy-going atmosphere. No matter what it is you seek (quiet hobby, personal challenge, or competition) we will be happy to provide space and support to help you reach your goal.  We teach the Kyudo school Heki-ryū insai-ha in the Inagaki line, though all other styles are free to practise with us. While the default language of tuition is German, our instructors also speak English or Japanese. Our club is affiliated with the German Kyudo Federation (DKyuB), and thus abides by the regulations set by the Japanese (ANKF) and international federations (IKYF) pertaining to instruction, competitions, and grading. Beginners and seasoned practitioners alike are most welcome to join us. Please check here for directions. We’ll be happy to introduce you to Kyudo on Tuesday evenings, from 6:00 to 8:00 pm. Kindly make prior arrangements to let us know you’re coming. We can lend you the necessary beginners’ equipment during lessons. Please wear comfortable, plain clothing and thick socks. You will be expected to provide your own equipment later on to ensure your progress. Although tuition is free of charge, our parent club requires a membership fee. Further expenses towards equipment maintenance are shared amongst our members. The current monthly fees amount to €34.00, or €19.00 for school students (details on request).